The Results of my Sephora VIB Shopping Spree! 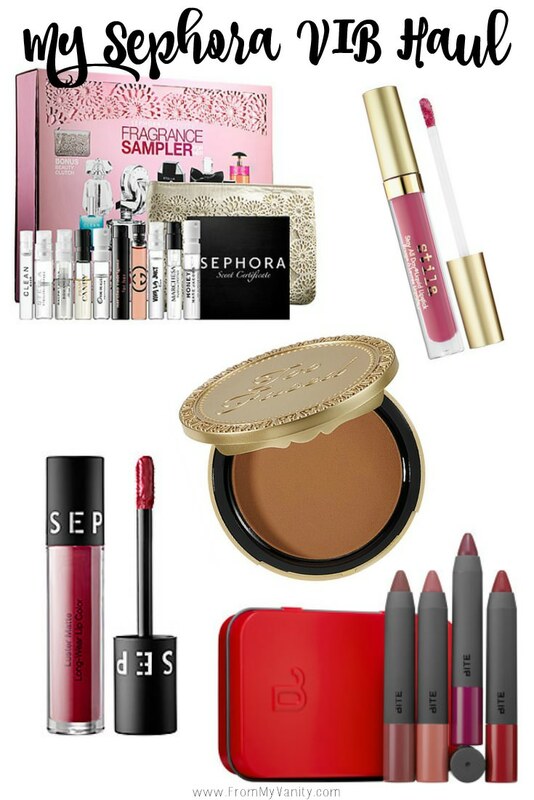 Who wants to see what I got during the 20% off Sephora VIB/VIB Rouge sale??? This is the first year I’ve participated and received the coupon, so I had fun daydreaming about all the products I would love to get (which you can see here). But these products are the ones that I actually ended up purchasing. 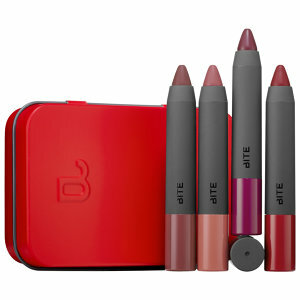 I didn’t mention this set in my Sephora, but I really wish I had. It’s such an incredible value and a big reason why I had to shrink my wishlist so I could accommodate this purchase. This set gives you 10 fragrance samples to try out…but the best part is that this set also includes a voucher to redeem a full-size bottle of your choice from the set for FREE. So….if you do the math like I did, I paid $44 to (potentially) get a fragrance bottle that retails at $72. I haven’t had the opportunity to try it out yet, but I can’t wait! This is actually the only item that I ended up getting from my Sephora Wish List post last week. How funny how that all turned out! Keep an eye on my Instagram for more picture love and swatches. This was an impulse buy, but I was really intrigued by the claims of this lip product. I’ve been on the hunt for a product that will dry on my lips and not budge the entire day. Like the Kat Von D liquid lipsticks. This color really seemed right up my alley. 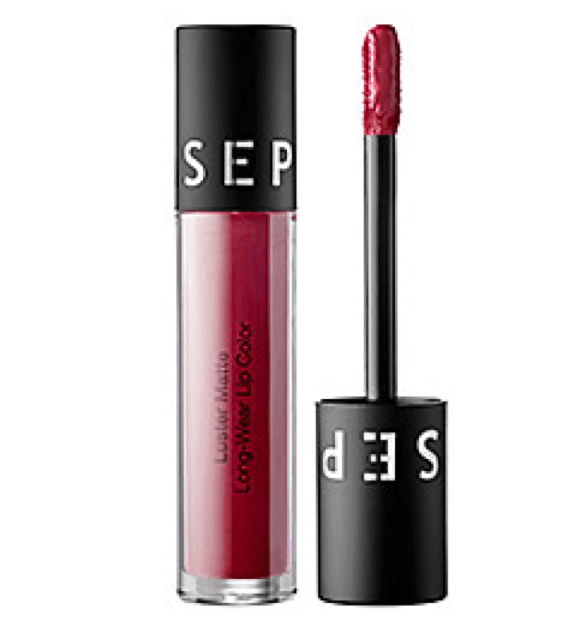 I’ve worn it once since purchasing it, and loved how it dried onto my lips so quickly and with a lot of pigmentation. Now I just have to try it out and see how many hours it lasts! I haven’t tried this one out yet, but it’s claims are similar to the Stila lipstick that I mentioned above. I’ve tested it out in the stores before, and it seemed to dry and stay in place. So I have high hopes for this one! So what did you get at Sephora with your 20% off coupon? Please share with me in the comments below — I love hearing what other people are trying out. Also, if you want to see reviews on any of the products I’ve purchased…yep, you know —> leave me a comment! Love you guys! Wow! That fragrance deal sounds amazing. I always have a tough time finding a fragrance I like/want to commit to… maybe I should think about getting a sample kit? 🙂 Thanks for the idea! Ravin – It smells faintly like chocolate. I definitely think the TooFaced Chocolate Bar Palette smells more like chocolate than the bronzer. But it does smell good!